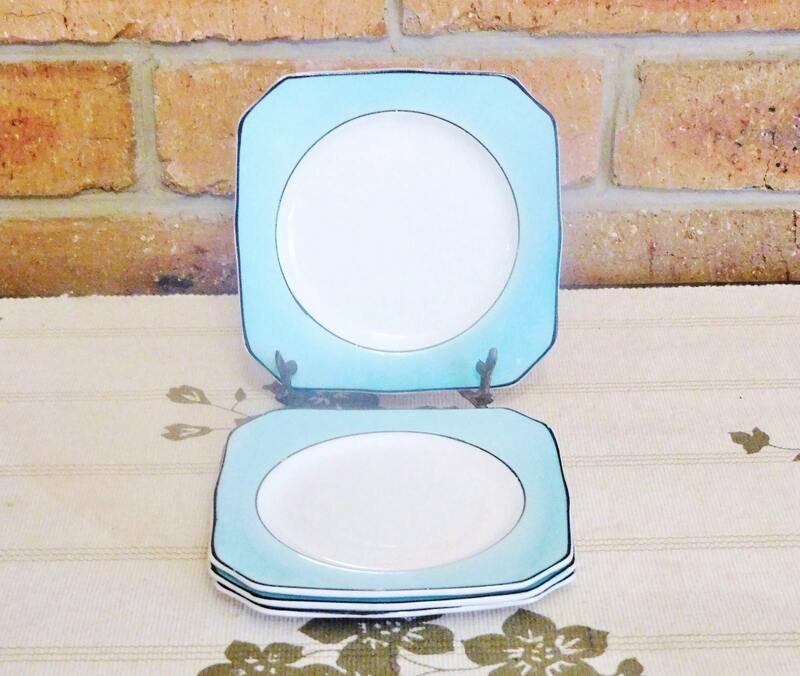 4 Art Deco fine china porcelain side or bread plates, simple and beautiful in turquoise and white - made in England, each plate has a simple single word “England” mark on the back. All 4 plates are chip and crack free, however there are a couple of glazing issues to the rear of a couple of the plates, so insignificant that they didn’t show up clearly in photographs. Wonderful and usable with virtually any existing set.